India's latest communication satellite, GSAT-31 was successfully launched from the Spaceport in French Guiana during the early hours today. The launch vehicle Ariane 5 VA-247 lifted off from Kourou Launch Base, French Guiana at 2:31 am (IST) carrying India's GSAT-31 and Saudi Geostationary Satellite 1/Hellas Sat 4 satellites, as scheduled. 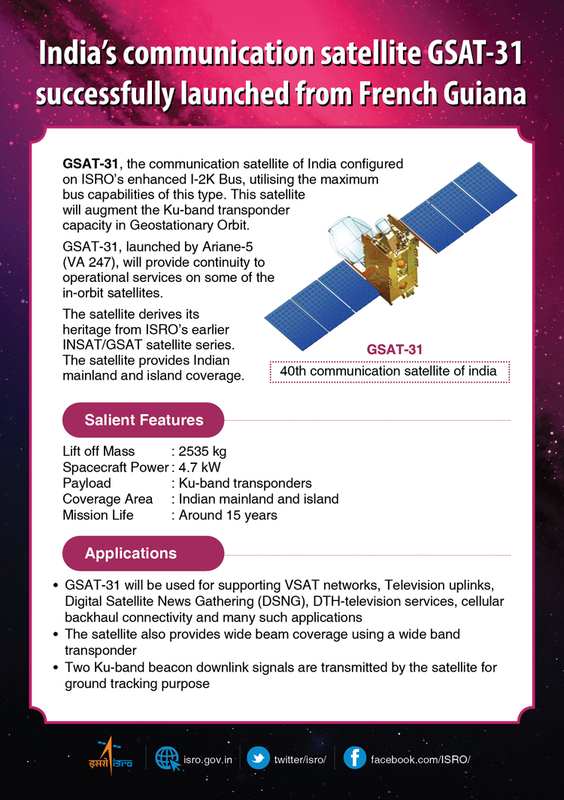 With a lift-off mass of 2536 kg, GSAT-31 will augment the Ku-band transponder capacity in Geostationary Orbit. The satellite will provide continuity to operational services on some of the in-orbit satellites. 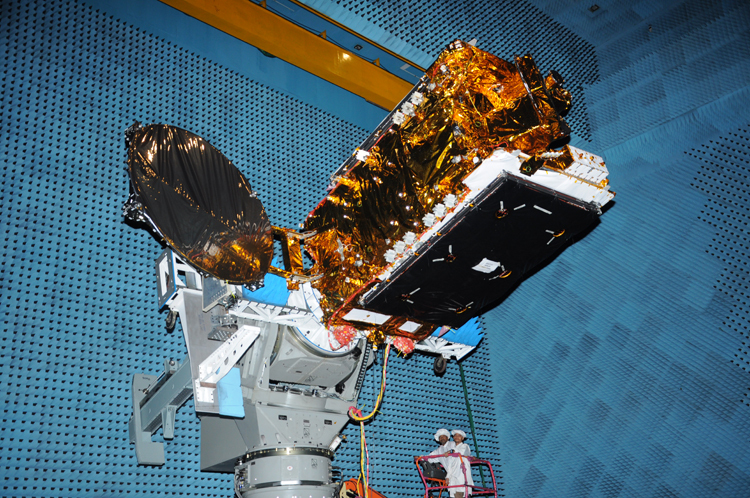 GSAT-31 derives its heritage from ISRO's earlier INSAT/GSAT satellite series. 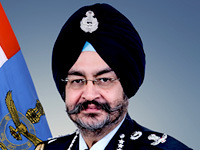 "GSAT-31 has a unique configuration of providing flexible frequency segments and flexible coverage. 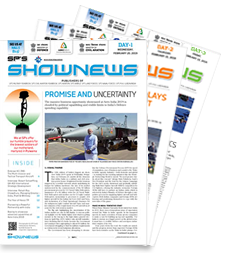 The satellite will provide communication services to Indian mainland and islands" ISRO Chairman Dr K Sivan said. Dr. Sivan also remarked that "GSAT-31 will provide DTH Television Services, connectivity to VSATs for ATM, Stock-exchange, Digital Satellite News Gathering (DSNG) and e-governance applications. The satellite will also be used for bulk data transfer for a host of emerging telecommunication applications."